Letterheads for your business announce who and what you are and where readers can find more information: your phone number, address or website. 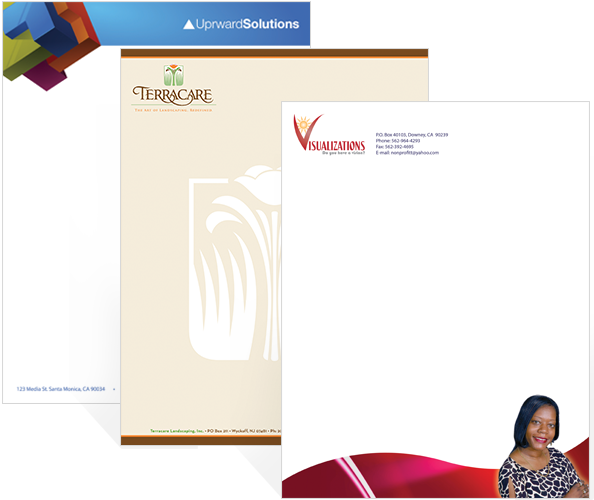 Create a full color letterhead to showcase your company with bold, eye-catching color. 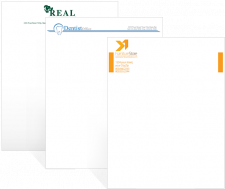 These professional looking letterheads are perfect to use for any of your correspondences or office documents. 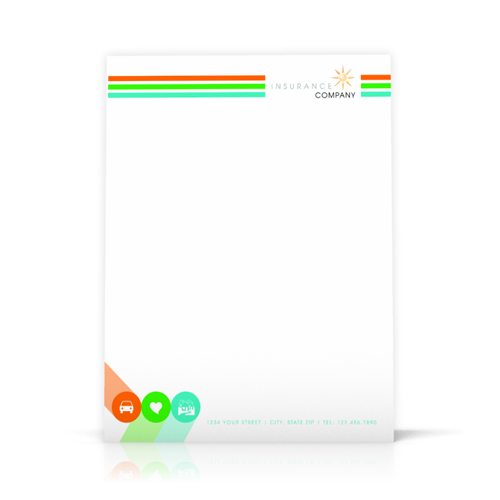 Our Letterheads are printed on your choice of Bright White Premium stock or Linen stock. Our Bright White Premium stock has a sleek, smooth professional feel and our Linen stock has a classy textured finish. All our letterheads are printed in full color letterhead and include full bleed at no extra cost. Make a bold impression with your correspondences. 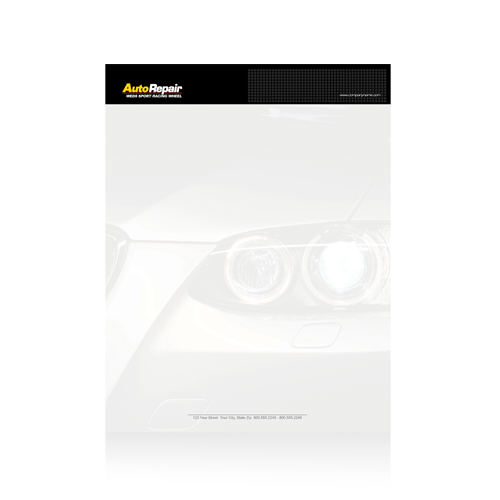 Create your own full color letterhead. Let Printfirm, Inc. handle all your printing needs. We are here to help make your job easier. You can contact us, by phone 866-668-5152, or if you like doing things face-to-face come on by and see us at 21333 Deering Court, Canoga Park, CA 91304.